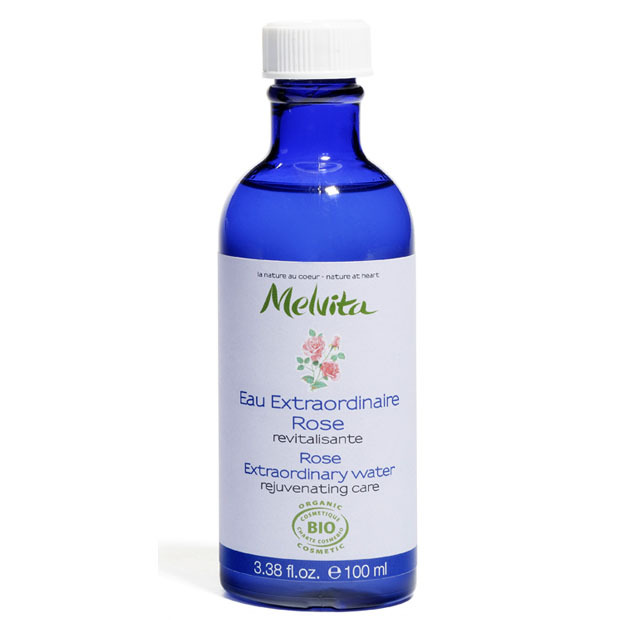 Everyone seems to be producing ‘waters’ and ‘splashes’ and ‘spritzes’ these days – usually in good old Rose and Orange Blossom varieties, but Melvita seem to have come up with versions that are truly different to the rest. They contain Hyaluronic Acid to help moisturise the skin, making the waters perfect for those who usually find such products too drying or uncomfortable. I am under no illusions that any of us actually need toners and waters in our skin routines if we cleanse properly (more on that another time) but I, for one, love the fresh and cool feeling of them before I moisturise. The Extraordinary Waters have a consistency that’s very nearly gel-like which is quite unusual; quite brilliant too, as it stops the liquid from saturating the cotton wool rather than your face, and it also prevents you from dispensing too much from the bottle. I would hazard a guess that I use one half (one third, even) of my usual amount, which means that the little 100ml bottles will probably outlast many of my more voluminous bottles of toners and spritzes. When applied, the waters feel very refreshing and they do leave the skin with that slight ‘toned tightness’ that many of us enjoy after cleansing, but my skin has never felt dried-out or overly tight. I test out loads of toners and I’d say that the majority of the mass-market versions leave my skin feeling quite stripped – I’ll be writing about that soon! – but I’m getting on incredibly well with the Melvita versions. Tip: you can even by-pass cotton wool with this formula, it’s viscous enough that if you’re careful, you can just squeeze the water out onto fingertips or palms and quickly apply to the face. Much less wastage!